We all would like to have our own garden. 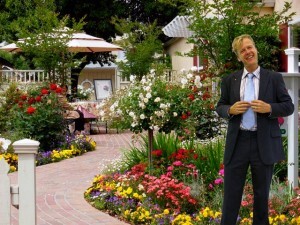 Yet, not many of us know where to begin with the whole business of designing a garden. What we have are just vague images of what we want to have, yet not really being so sure about going for it. There are a lot of garden designers who can aid you on bring your ideas in your mind out into the open. However, some designers may charge you a hefty fee which really isn’t a very good way to start your own garden. You can still do it on your own though. You can jump start into planning and designing your own garden with these tips from expert garden designers. Design a garden that can be suited for variety of activities – You can make your garden really versatile and not simply for show alone. You can design it in such a way that it can be a venue for a variety of activities and events. If you want a place to relax, you can do so by placing chaise lounges in appropriate areas of your garden. If you also want your garden to be place where you ac have a barbeque, breakfast or just an afternoon tea, you can set aside a space for it as well. Just take not of the things you want to be done and find a way to blend them perfectly with your garden design. We always see signs at parks that says to keep our feet off the grass. We would understand that if have a garden of our own as well. We certainly do not want people to just walk around and trample over the grass and plants that we grow in our garden. For obvious reasons, stepping on a plant is one ticket to killing it. In order to prevent that from happening, make sure that your garden has clearly demarcated footpath. You could line it with stones with small shrubs at the side for instance. Whatever it is that you plan to do, make sure that the walkway through your garden can be easily spotted and followed. A garden would be more classy and beautiful where you to follow a certain color scheme not only foe the plants but also for their containers as well. Using just any color would leave your garden is a mess of colors that might look tacky. When you only have one available space in your home for a garden, you hardly have any choice on where to situate it. However, you can create your garden in a way that not necessarily follows the structure of the house. You can even go for a themed garden design. You build a design that makes your house look a little bit more different because of the plants. During winter, your garden could be at its barest period. However, without the plants to distract you, you will see some of the flaws that the plants have hidden from view. You can take not of all that and make sure that they are taken cared of before the next season even begins. Before even starting a garden, you should have an idea of what plants you want to use. You can take pictures of the plants and try to build a solid theme using those plants that you wanted. You could also take pictures if certain garden styles that you’d like to recreate in your garden or a style you do not want to step into yo9ur design. The pictures you take will your ideas less vague and more concrete. A garden are not just all about the looks alone. A design could only look so grand, yet it is important that you could feel comfortable and relax in it too. It is not just about placing plants that are pleasing to the eyes but also plants that have a n aroma to soothe your frazzled nerves on days when you are so stressed from work. You may have all these grand and unique ideas for your garden coming right off the page. You may be bursting with a lot of things that you want to happen in your garden. Do not overwhelm yourself with all that because not all of them may work great with each other, A helpful tip is to write down your design ideas and pinpoint those that compliment with whatever you have. You can slowly add to the design a little later once you have gotten past of the basic design already. Furthermore a simple garden is classy and easier to maintain. Before you even have a garden to begin with, all you see are the depressing walls of your neighbor’s house. Well, you do not have to live and see it forever. You can design something that would mask all that ugliness an turn your garden into a new and better happy place for you. We want to maximize or garden for a variety of purposes. We want to be able to lie down and relax in there and use it as a place to have a barbecue as well. Each activity requires its own set of furniture. You do not have to get all that otherwise your garden could look like a mess of a furniture store instead. You can buy furniture that has more than one purpose. For example, get a chaise lounge that can easily be converted into a bench, so all you will need is a table. Just make sure though that your furniture matches the theme and color scheme of your garden. Your garden does not need to follow a really strict theme just as long as you feel good about it as well. After all, you created a garden for yourself and not for others to stare at.